We are heading into Week 7 of Term 3 and I can't believe it! 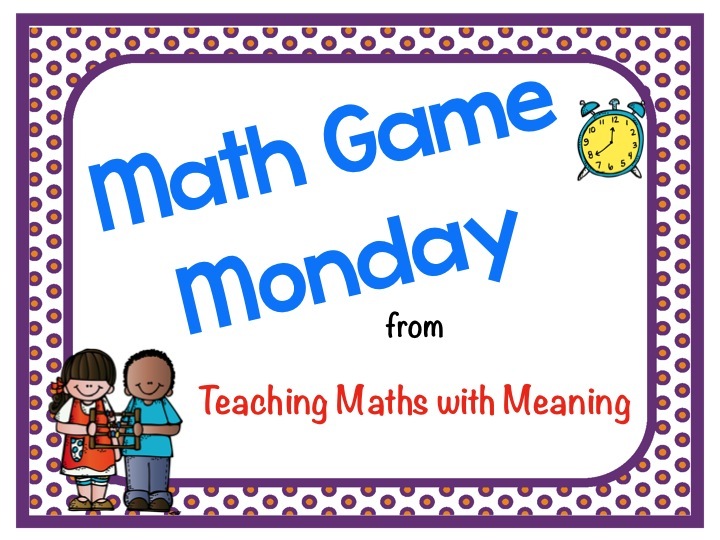 Here we go again for Math Game Monday! 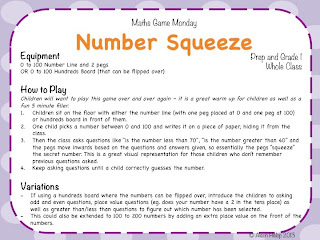 This is a great game you could easily play with Kindergarten and Grade 1 children who are practising counting to 100 - and asking great questions to pick numbers. 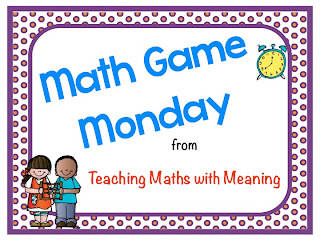 Click here if you missed previous Math Game Monday - Triangular Cards, 10 Second Walk, 10's Snap, Celebrity Numbers, Flip 3 and Add, Around the World, Race to 100, Nasty Game, Roll and Flip, Make that Number, Hundreds Chart, Flipper, Array Boxes, Paddocks, Buzz , Corners, Fair Racetrack & Add it Up! This week I am also joining up with iSURF's linky party. Click on the picture below for more details! I love the sound of this game!! Might be able to give it a go tomorrow! Perfect! Hope you enjoy it Tania!